Whether you are the jealous partner or whether your spouse is the jealous one, irrational jealousy can eventually destroy your marriage. Here are answers to frequent questions about jealousy and things you can do to overcome jealousy in your marriage. "Jealousy is a reaction to a perceived threat -- real or imagined -- to a valued relationship or to its quality. A nationwide survey of marriage counselors indicates that jealousy is a problem in one-third of all couples coming for marital therapy." A.M. Pines, C.F. Bowes, "Romantic Jealousy: How to Recognize Where Jealousy Comes From and How to Cope With It" on Psychology Today, (1992). "A little jealousy is reassuring and may even be programmed into us. It’s very common. A lot of jealousy is scary and has driven people to some very dangerous behavior. There’s no reason to believe that jealousy will improve with time or marriage ... Because jealousy goes right to the core of the self and its roots are deep, it is not something that can be banished by wishful thinking." Hara Estroff Marano, "Advice: A Jealous Fiance" on Psychology Today, (2004). What Do Jealous People Feel? Jealous individuals experience a multitude of feelings including fear, anger, humiliation, sense of failure, feeling suspicious, threatened, rage, grief, worry, envy, sadness, doubt, pain, and self-pity. "Jealousy keeps us under a sense of discouraging frustration and disappointment. It makes us gloomy. It is such a depressing feeling that we cannot tell about it to even our best friends nor can we contain it within ourselves. Consequently, it leaves us with an inconvenience of a peculiar misery and if allowed to grow unchecked beyond a limit, it works like a slow poison to our healthy nature." Gyan Rajhans. Jealousy can be caused by many factors. Unrealistic expectations about marriage in general. Unrealistic expectations about your relationship with your spouse. A misguided sense of ownership of your spouse. Hurtful experience of abandonment in the past. Fear of being abandoned or betrayed. Fear of losing someone or something important to them. What Are the Consequences of Irrational Jealousy in Marriage? "For those who experience abnormal jealousy, the emotion sets up a self-fulfilling prophecy. As their associates try to avoid them, their worst fears of losing love and respect are realized." Robert L. Barker, in the book Green Eyed Marriage. Physical reactions such as trembling, feeling dizzy, change in sleep patterns, and a change in eating habits. "People who feel secure and like themselves tend to be less jealous of others and less possessive of their partners, while those who have experienced abandonment or betrayal in their lives can become overwhelmed with jealousy ... If you feel jealous, or if your partner does, it doesn’t matter. Eventually, jealousy will erode your relationship and destroy your marriage ... Jealousy is a way to exert control in a relationship ... Getting control of your jealousy does not mean getting control of your partner, it means getting a handle on your own emotions." Dr. Gail Saltz, "Jealousy: Is It The Same for Men and Women?" on MSNBC.msn.com (2006). How Can a Couple Handle Jealousy? Admit your jealous behavior and accept that your jealousy is hurting your marriage. Discuss the roots of your or your spouse's jealous feelings. Don't spy on your spouse. As a jealous spouse, make a decision to change your behavior. You may need to get individual counseling. Realize you can't control someone else. Together, set fair ground rules that you can both live with. 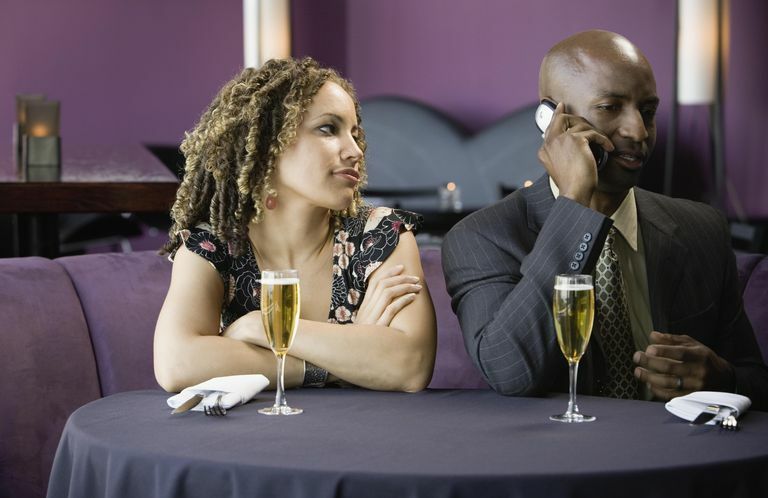 If you are the non-jealous partner, don't lie or try to hide where you are or what you are doing. Seek professional help as a couple if necessary. What Should You Do if You're Married to a Jerk? Is There Manipulation in Your Marriage?